The Delmar T. Oviatt Library at California State University, Northridge is partnering with CSUN’s Jewish Studies Interdisciplinary Program to host a book discussion and signing by Laura Rosenzweig, author of “Hollywood’s Spies: The Undercover Surveillance of Nazis in Los Angeles,” a Los Angeles Times bestseller and National Jewish Book Awards finalist, on Monday, Nov. 5. In “Hollywood’s Spies,” Rosenzweig chronicles the until-now untold story of how the Jewish executives of the motion picture industry in the 1930s paid private investigators to infiltrate Nazi groups operating in Los Angeles. Drawing on more than 15,000 pages of archival documents, Rosenzweig offers a compelling narrative that reveals the role Jewish Americans played in combating insurgent Nazism in the United States. “Dr. Rosenzweig’s tale of the growing Nazi presence in 1930s Los Angeles, and the brave American spies who fought back, will keep you on the edge of your seat,” he added. Rosenzweig is an American Jewish historian with a doctorate degree in U.S. history from the University of California, Santa Cruz; a master’s degree in education from Stanford University and a bachelor’s degree in history from Union College. 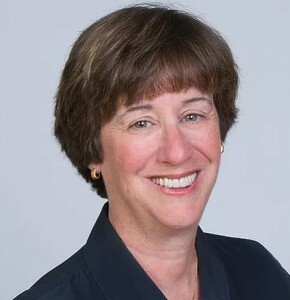 Rosenzweig has taught U.S. and American Jewish history at multiple universities in California and now serves as an instructional designer for the University of California, office of the president. Rosenzweig was a regular visitor to the CSUN campus while she conducted hours of research in the Oviatt Library’s Los Angeles Jewish Community Relations Committee archives – one of the most highly consulted archives in the library. Many national and international scholars, as well as CSUN faculty and students, visit the archives during the course of their research. Rosenzweig’s talk is open to the public and will be held in the Oviatt Library’s Ferman Presentation Room from 2 to 3:30 p.m. Persons with disabilities needing assistance may email library.event@csun.edu or call (818) 677-2285 in advance for arrangements. For parking information, please visit http://www.csun.edu/parking. For more information about the Oviatt Library, known as the “heart of the CSUN campus,” visit https://library.csun.edu/.